Manganese atoms have 25 electrons and the shell structure is 2.8.13.2. The ground state electronic configuration of neutral manganese is [Ar].3d5.4s2 and the term symbol of manganese is 6S5/2. Manganese: description Your user agent does not support the HTML5 Audio element. 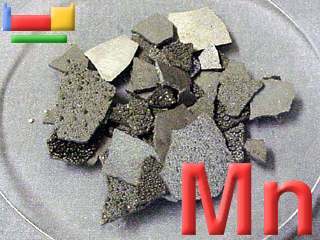 Manganese metal is gray-white, resembling iron, but is harder and very brittle. The metal is reactive chemically, and decomposes cold water slowly. Manganese is widely distributed throughout the animal kingdom. It is an important trace element and may be essential for utilisation of vitamin B. Manganese is present in quantity the floor of oceans. It is an important component of steel. 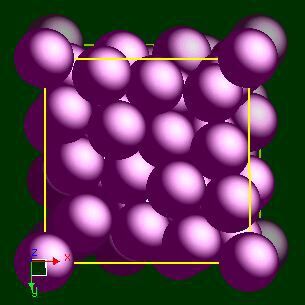 The solid state structure of manganese is: bcc (body-centred cubic). Reactions of manganese as the element with air, water, halogens, acids, and bases where known. 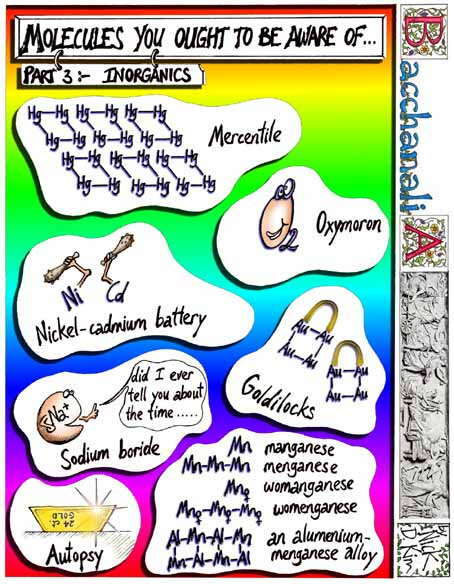 Binary compounds with halogens (known as halides), oxygen (known as oxides), hydrogen (known as hydrides), and other compounds of manganese where known. Bond strengths; lattice energies of manganese halides, hydrides, oxides (where known); and reduction potentials where known. Manganese was discovered by Johann Gahn in 1774 at Sweden. Origin of name: from the Latin word "magnes" meaning "magnet", or "magnesia nigri" meaning "black magnesia" (MnO2). 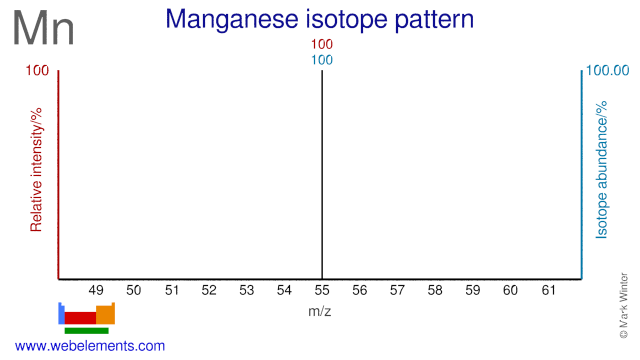 Isotope abundances of manganese with the most intense signal set to 100%.